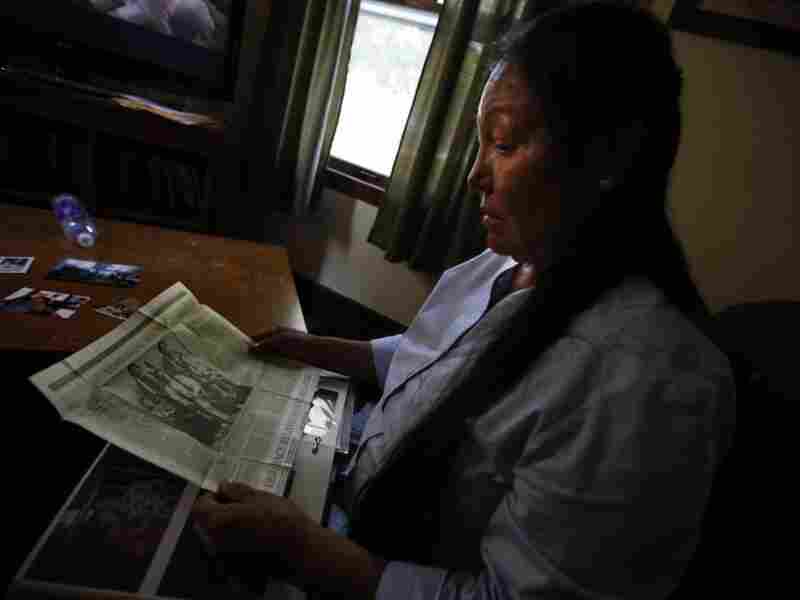 A Fight For Her Grandchildren Mirrors A Native Past Suzanne Crow's three year struggle to bring her grandchildren home after they were placed in South Dakota's foster care system reminds her of the days she, and other American Indians were sent to boarding schools. Nearly 700 Native American children in South Dakota are being removed from their homes every year. Suzanne Crow fought the state of South Dakota for three years to get custody of her two grandchildren, even becoming a licensed foster care provider in the meantime. Despite her efforts, it took three years for her grandchildren to be returned to their family in Minnesota. Suzanne Crow, 58, has made and received a lot of bad telephone calls in her life, including the time she told her family that her 3-year-old son had died in a hospital because there wasn't a doctor on duty to care for him. Life in South Dakota as a displaced member of the Lakota and Dakota Sioux tribes can be tougher than most. Suzanne Crow speaks to host Michel Martin about her struggles to get her grandchildren back and maintain their cultural heritage. "It's affecting the tribes in more ways than just them being gone. It's affecting the genetic memory. Maybe those are our chiefs coming up and they're gone," she tells Michel during the interview. But the phone call she received on a sunny May day in 2007, Crow says, is still one of the worst. A distant relative had just driven by her home in Sioux Falls, and Crow says what she heard instantly connected her past to her present, bringing the next several years of her life to a near stop. "The cops are at Lena's house," Crow said the relative told her. "I think they're taking your grandchildren." Brianna was 6-years-old. Her younger brother was 5. Their mother had left a cousin in charge, but Lena was late coming home. Their father, who was an illegal immigrant, was caught and deported years earlier. So when police found the children in the front yard after their cousin left, there was nobody to take care of them. The children, however, had a plan for situations like this. If they were ever left alone or if someone was drinking at home, they were always instructed to go across the street, to their grandma's. If she wasn't there, the back door would be left unlocked. But on that May day, Crow wasn't home and the back door was bolted shut. In South Dakota, where American Indians make up less than 15 percent of the state's child population, 60 percent of the state's foster care population is American Indian children. Suzanne Crow's story is part of an NPR News investigation. Read more about the series here. It's a number that Crow is familiar with and a number that always struck her as ironic. For more than a century, a similar number of American Indian children were removed from their homes, families and cultures and placed in boarding schools. It was part of the U.S. government's assimilation policy. She had been sent away when she was 5-years-old. Her mother couldn't afford to provide for her or her sister. 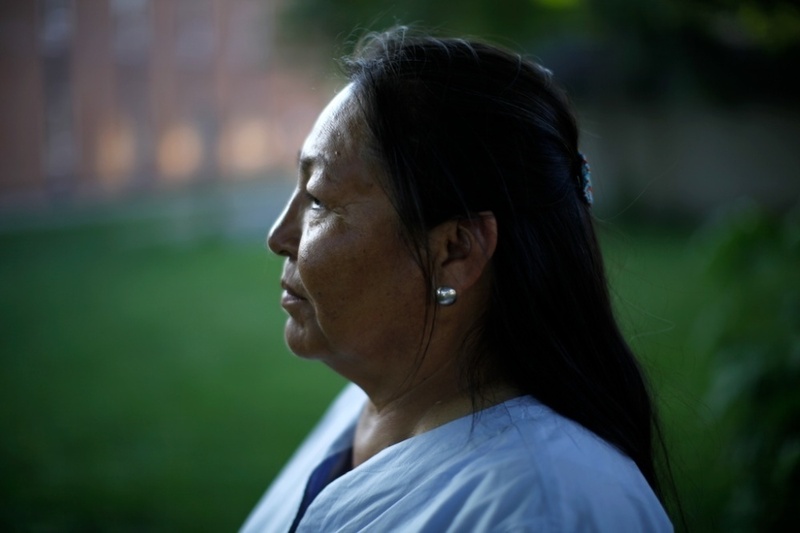 So, she enrolled them at Saint Paul's Indian Mission, an Indian boarding school on the Yankton Sioux Reservation in Marty, S.D., built in the 1920s during the middle of the U.S. government's assimilation policy years. "There is a very strong history in this country of removing Indian kids from their homes," says Brenda Child, who chairs the University of Minnesota's American Indian Studies program. Her grandfather was a student at the first off-reservation boarding school, Carlisle Indian Industrial School. But by 1958, when Crow started school there, "assimilation as a policy had ended," Child says. Yet its legacy remained and Crow's story, Child says, is one that's familiar. American Indian parents who lost their children forgot how to be parents and their children were no longer being raised with parents to learn those skills from. Crow still remembers her first day, walking into a long room filled with white dresses. It was a little girl's dream, she says, until she turned around. Her mom was gone. "I cried for three days," she says. It took Crow just over two hours to return to Sioux Falls the day her grandchildren were removed from their home. But it was too late. When Crow arrived home, her grandchildren had already been taken to Children's Inn, an emergency shelter and foster home in Sioux Falls. Crow drove straight there, she says, and asked to take her grandchildren home. "It's not that easy," says Children's Inn's Director Amy Carter. Carter didn't tell Crow no herself, she's only been director for three years and wasn't familiar with Crow's case, but she's seen similar stories. "That situation is more common than you'd like to think," she says. Because of that, there's a system of rules that has to be followed. "It's a complex system, but it's made that way to ensure the safety of the children," Carter says. By the time children reach her organization, they're already under the custody of the state and the state's Division of Child Protection Services (DCPS) calls the shots. Children's Inn is just the starting point to a long process. "I can understand why people get frustrated with it," Carter says, "and I won't deny it can be frustrating. But that's the system we're working in." Life at Saint Paul's was full of processes. There were routines and rules that were strictly enforced, Crow recalls. Read more about the American Indian boarding schools in NPR's 2008 report. No speaking in the native Lakota language, no gathering in groups larger than two, no talking back. "At one time they had 500 children here," says David Tickerhoof, a current pastor at Saint Paul's Church. "There had to be a pretty stringent discipline system." The school is now tribally run and Tickerhoof has only been at the neighboring church for 14 years, so he can't speak to specifics of the school's past. But from talking with former teachers and students, he understands the history of the school and its surrounding community. "It was like the inner-city in a rural setting," he says. Crow said she recognizes some positive things about the school. Since her mother couldn't provide for her, at least at Saint Paul's, she was fed, sheltered and educated. But there were bad parts: Haircuts, and punishments, Crow says, for speaking in her native Lakota tongue. "The goal wasn't to make them non-Indian," Tickerhoof says, "The effort was to really help them stand as an equal in the job environment and to do that they had to be able to communicate in the dominant society." He continues: "I'm not going to say negative things didn't happen here, that's idealistic and naive. But I think it was hard on everybody." To cope, Crow says, they prayed. "We'd get up and pray at our bed, then go to church and pray, then to breakfast and pray, then to school and pray, and then lunch and pray — always praying," Crow says. "I remember praying for John Kennedy when he was shot." But most times she prayed for something else. She says she "prayed and prayed and prayed," for her grandmother to come and get her, to find her and take her away. For 12 years she prayed. "Have you ever prayed and prayed and prayed for something and then it never happened?" she asks. It still haunts her. 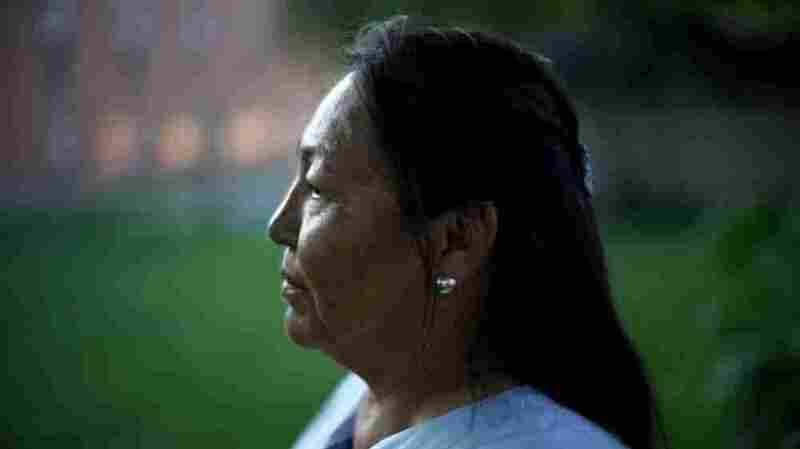 More than 50 years later, Crow began the battle to get her grandchildren back by praying. 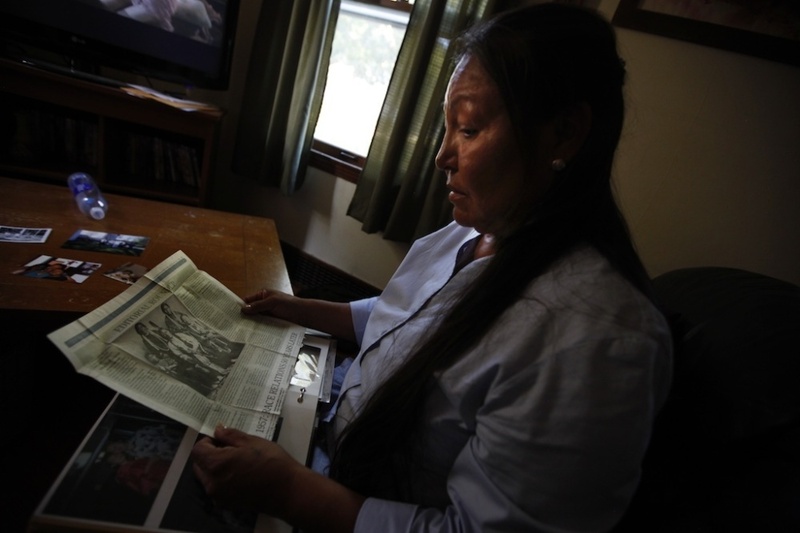 Suzanne Crow looks through a family photo album at her home in Sioux Falls, S.D., and comes across an old newspaper clipping of Sitting Bull, a Hunkpapa Lakota like herself. "I prayed for whatever judges were involved, whatever social service people are involved — whoever's in my path I wanted to pray for them too," she says. "So I did." For the first months she prayed that the children would be returned to their mother. Crow offered her help, went to court proceedings and took notes, but the bulk of the work she left to her daughter, Lena. "They tried to turn her into a professional hoop dancer, jumping through all their hoops." But the children were never released. Within a week of being taken from their mother's, they were placed in a white foster home in Sioux Falls. After about six months, Lena gave up hope, Crow says. There were too many strikes against her, so Crow says Lena attempted suicide. That attempt, though failed, killed her chances of getting her children back, Crow says. She was no longer deemed psychologically competent to be a parent. "So that's when I filed for adoption," Crow says, "they couldn't throw any of that guilt in my face." Crow had a house, a salaried job as a seamstress at David's Bridal and no criminal history. The problem was, she had to convince the state of the same thing and that's hard for any grandparent to do, says B.J. Jones, an attorney and judge for various tribal justice systems in the Dakotas and Minnesota. "The state court system is so hard for grandparents to crack and sometimes it's hard to really identify what the reasons are," Jones says. The result, he says, is this: "We have the government being the grandparents and the government doesn't have a good track record of taking care of Indian kids. Historically that's been disastrous. It's been a nightmare." The state's department of social services says it's not trying to usurp family ties. "We come from a stance of safety," says Virgena Wiesler, the division's director. "That's our overarching goal with all children. If they can be returned to their parent or returned to a relative and that safety can be managed, then that's our goal." In interviews with NPR, Wiesler and the state's DCPS said they would not speak about individual cases like Crow's. All those years — those 12 years in boarding school — not once did I get to be who I was supposed to be. Not once did I get to speak Lakota and see my grandma. They took our genetic thinking and turned it inside out. And then who are you? Jones wouldn't either, but he did say that in his opinion, the limited access and rights of extended family like grandparents is the biggest problem with current law. "I've seen a lot of cases where the grandparents would be eligible," he says, "but they've got to background you, they've got to license you and this, this, this, and that, that, that." "They tried to turn me into a fancy dancer too," she says. She went through the steps, met with case workers, registered for and completed foster parenting classes for both the state and the tribe. She became a licensed foster parent and still, the kids remained in foster care for three years. They were being taken care of, she says, just like she was in boarding school, but she was worried about them being raised in another culture. "All those years — those 12 years in boarding school," she says, "Not once did I get to be who I was supposed to be. Not once did I get to speak Lakota and see my grandma. They took our genetic thinking and turned it inside out. And then who are you?" The state eventually released Crows's grandchildren, now ages 10 and 11, from foster care, giving custody to their stepfather, who also cares for two of Lena's other children in Pipestone, Minn.
Crow says she believes she should have custody of her grandchildren. She sees them as often as she can. She talks to them on the phone and messages them on Facebook. Earlier this year, she saw her grandson play in a soccer tournament and braided Brianna's hair before a family member's high school graduation ceremony. She talks to them in Lakota when they'll listen, trying to instill bits of their native culture whenever she can. It's her duty as a grandmother, she says, to help give them an identity — to fight for their future because of her past. "I think their culture is what's going to save them," she says, "It's what saved me."